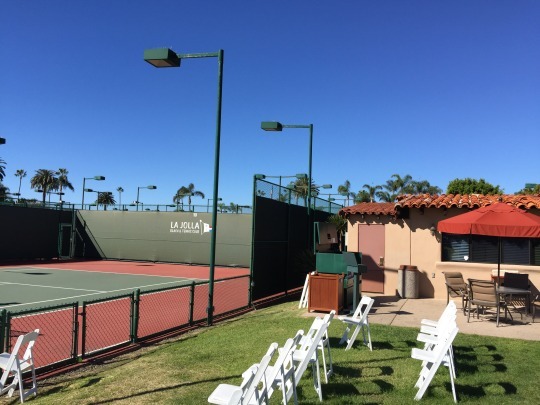 This may be one of the shortest solo reviews I ever write, but I didn’t have any other courses to pair with La Jolla Beach & Tennis Club for one of my “Short Course Blitzes.” Nonetheless, I played out here on Saturday morning and I’ll go ahead and post a review..
A friend stayed at the resort, so I was able to join up as a guest for golf. 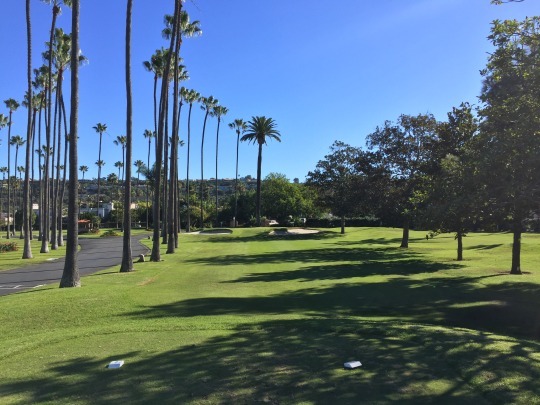 I wasn’t expecting anything too amazing from this course because I knew it was a “pitch and putt,” but as I rolled into the parking lot I lowered my expectations even more. It’s a really basic little course. 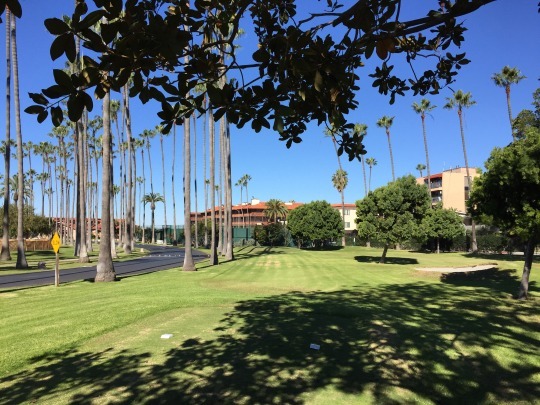 The best comparison is the Hyatt Newporter Back Bay course in Newport Beach. 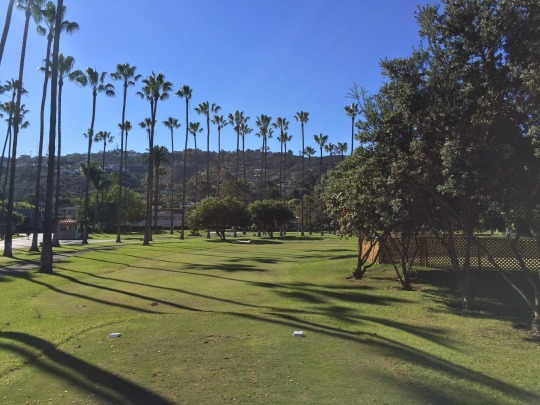 It’s a nice location with resort lodging, where a rather simple little golf course just happens to be one of the activities you can enjoy. Conditions were just okay at best and two of the normal greens were even closed, leaving even sillier temporary greens to play to on the 2nd and 3rd holes. We were the only people out on the course, so it was a very quick and uneventful round. 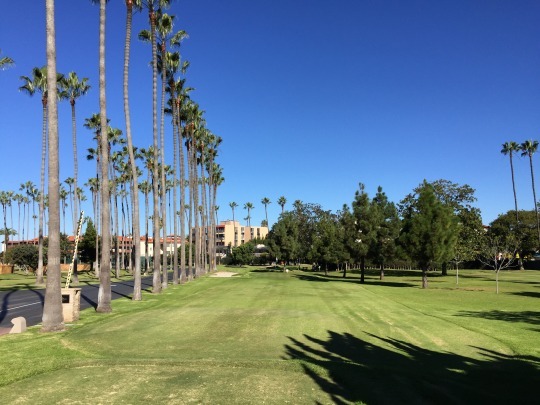 I stuck around and played another nine holes, just to get a little extra out of it. 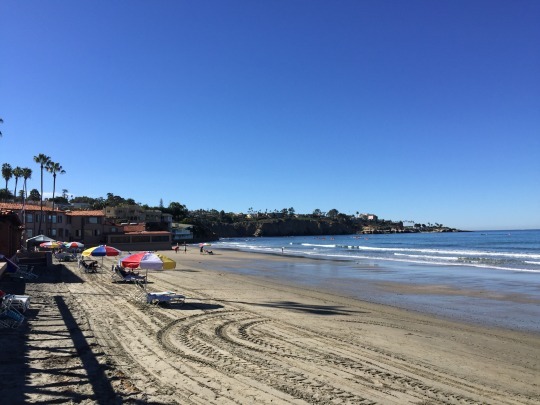 It’s clear that the Spindrift Golf Course, as it is technically named within the resort, is more of an afterthought compared to the other activities here. 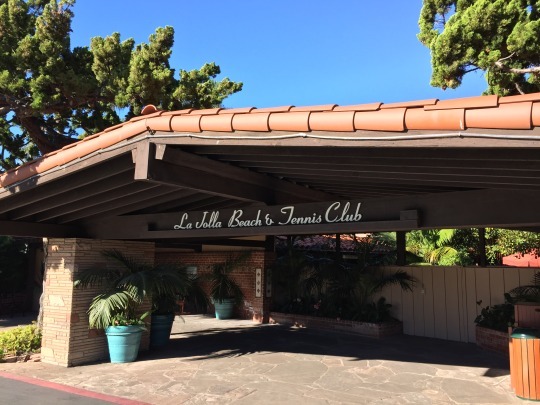 The La Jolla Beach & Tennis Club name tells you what you need to know. 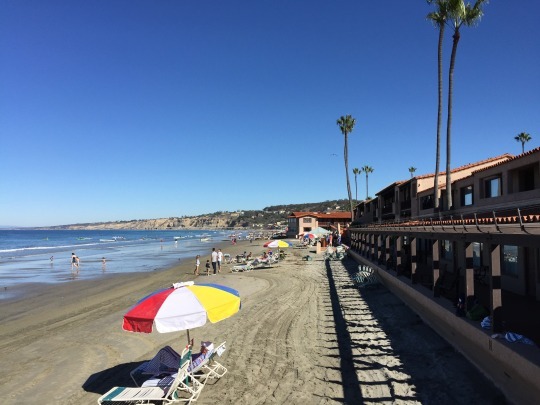 There were many tennis courts with plenty of players and the resort lodging itself backs right up to La Jolla Beach. I took a quick stroll down there after golf. It certainly was a beautiful day and I snapped a few nice pictures. 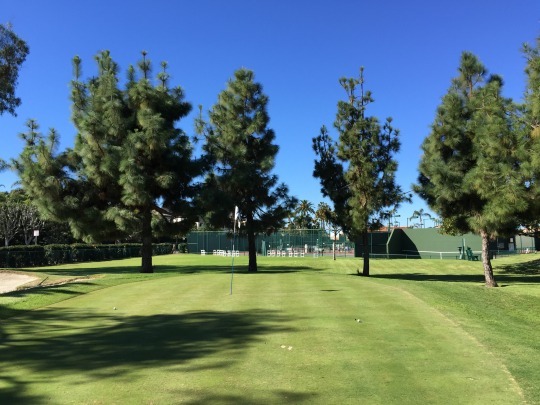 Perhaps the most interesting aspect of the course itself is the small and slanted greens. A couple of them are rather tough with big slopes from back to front, or in the case of the 6th hole, a miniature Donald Ross style turtle shell green that’s humped severely in the middle where the pin was. 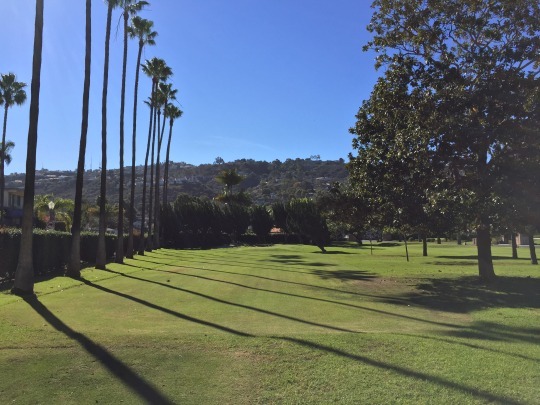 The holes are all par-3s, ranging from 57-84 yards, so just bring a wedge and a putter. That’s about all you need to know. It’s another one off the list for me, and that’s all that matters this time.